After the hectic start that heralds the beginning of any year, Boschendal Farm has the answer to restoring your inner zen for the rest of 2017. We are hosting a Yoga & Wellness Retreat with the much respected Viktor van der Kleij from 12 – 14 May. 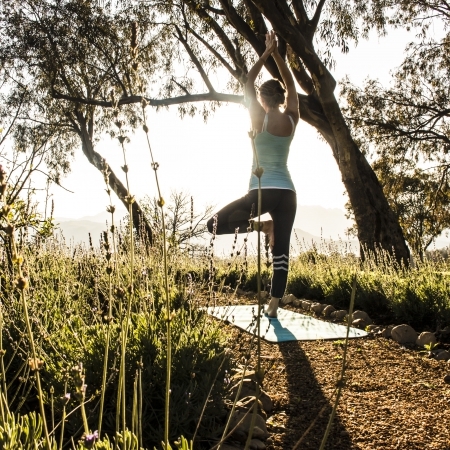 Guests will enjoy an engaging, restorative weekend of yoga, healthy food and luxury farm-style accommodation on the beautiful, peaceful grounds of Boschendal. This retreat is designed with everyone in mind, from the seasoned yogi to the complete beginner. You will discover the power of alignment with various sessions designed to strengthen your practice, improve your focus and channel the strength of your body in restorative poses. The sessions will include yoga, breath work, movements, dialogues, mantras, meditation and advice on nutrition. Viktor divides his time between Europe and South Africa where he teaches the practice of yoga using his intuition, wisdom and expertise to guide students to a state of inner clarity and peace. He is trained in classical yoga and has extensively studied the practices of Iyengar, Sivananda and Ashtanga. In keeping with the focus on cultivating a balanced and vibrant lifestyle, guests will also spend time exploring and experiencing Boschendal farm and the food gardens, gaining a deeper knowledge of eating well. Megan McCarthy, our Food Garden Manager, will introduce guests to the basics of urban food growing and the joy of sustainable farming, using environmentally sound practices. Megan will also share growing tips and technniques used in our prolific Werf Food Garden. The weekend is designed around the philosophy of holistic nourishment — physical activity and healthy fresh food to nourish the body, meditation and meaningful interactions to nourish the mind, and the gorgeous surroundings of Boschendal to nourish the soul. What better way to reinvigorate yourself? Come and join us in May. Check in on Friday at 14h00 and check out on Sunday at 17h00.